The recent death of Punch Sulzberger, publisher of the New York Times, (1963-1992) has prompted an outburst of obituaries, memories, and tributes — all deserved as far as I can determine. 1. He consistently acted on the principle that his job as publisher was to make money to support great journalism. Everything else was secondary — including making money to enrich the company’s investors (many of whom were his siblings and cousins). This is no small thing, as anyone who ever worked for a broke or nearly broke news organization can testify. 2. Although he occupied a prominent position near the pinnacle of the American Establishment, he made the right call on the biggest challenge of his career, even though it meant defying that very establishment. I am thinking of his magnificent courage in the Pentagon Papers case in 1971. Shortly after his retirement, Sulzberger was asked about what was the toughest call he had been required to make while publisher. Without hesitating, he answered that it was the Pentagon Papers case. . . .The set [of photocopies of the Pentagon Papers] held by the Times represented an unprecedented breach of the national security classification system, and anyone in possession of the report could face criminal charges, not merely of stealing government property but perhaps even of espionage or, ultimately, treason. Indeed, that was the opinion reached by the Times’ longtime law firm, Lord Day & Lord. 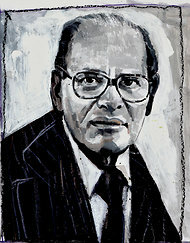 Senior partner Louis M. Loeb objected to the idea of publishing leaked military secrets in wartime, which he considered irresponsible and unpatriotic, and he warned that the government would be sure to prosecute the newspaper and its top executives. He urged the editors to return the papers to the government. Punch Sulzberger decided to listen instead to the company’s in-house counsel, Jim Goodale, who was more sanguine about keeping everyone out of jail. With that question still unresolved, Sulzberger decided to let the project move forward but to proceed carefully. By now, he had eight years as publisher under his belt, and he felt a lot more confident than he had in his first year, when JFK had tried to bully him into transferring Halberstam out of Saigon. Still, confronting the president of the United States would be a challenge. In one room at the hotel, Sulzberger assembled the newspaper’s lawyers to help him decide whether to publish anything at all. They argued over issues of sedition, corporate liability, and professional responsibility. In another room he assembled a select group of the newspaper’s senior editors and top reporters to wade into the documents and help him determine what to publish. It was tough going in both rooms. In the roomful of journalists, the Pentagon Papers were providing dozens of leads and tantalizing revelations. But the report as a whole was so vast that it would take a long time to find a storyline in there. What was the upshot? What was the headline? Week after week, debates raged in both rooms. Was the Times about to break the law by publishing classified information during wartime? Would the government bring a charge of treason? If so, could the paper survive? Finally, the stories were ready. It all came down to Sulzberger. It was time to say yes or no, time to put all his chips—the paper he loved, his family’s legacy, the good of his country—on the table. His answer was yes. So on Saturday, June 12, 1971, while President Nixon was dancing in the White House at the wedding of his daughter Tricia and enjoying what he called the happiest day of his presidency, the typesetters and pressmen at the Times started printing the stories that would bring about a first-order constitutional crisis. . .